A hike to Snow Lake near Snoqualmie Pass. 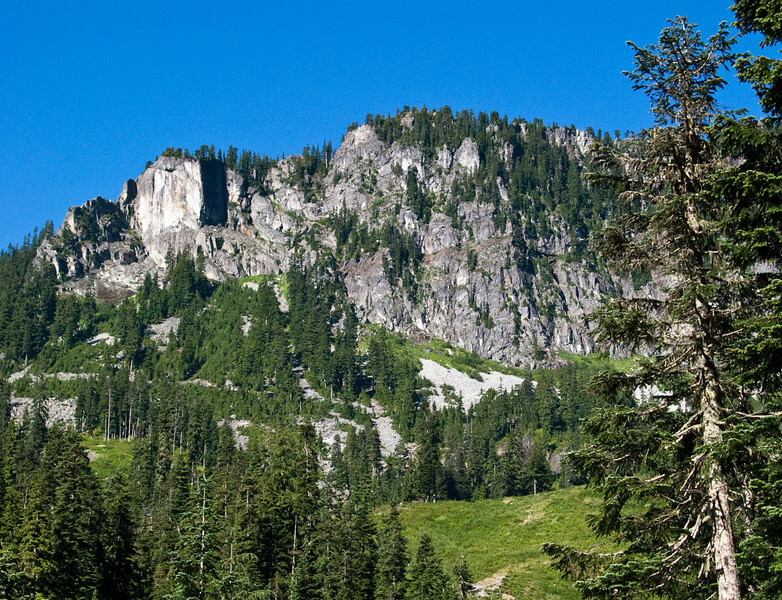 The hike actually starts at the Alpental ski area at 3,100 feet, then climbs over the ridge at about 4,500 feet, and down to Snow Lake itself, at just over 4,000 feet. A view of 6,000 foot peaks in the Cascades as we started off.